Magic Show by Michigan Magician, Juggling Act, Yo-Yo Expert Ventriloquist / Michigan and Ohio. Over 20 years ago, Paul Kyprie started Zeemo Productions to develop a variety of shows, which he has been performing ever since throughout Michigan and Ohio. Whether you need entertainment for your school assembly, summer reading program, Blue and Gold Banquet, company party or trade show, give Zeemo a call. His shows are suitable for all ages and can be performed anywhere. He uses several stage names for the shows, but no matter what you call him, his shows are entertaining and exciting. shows his flair with Yo-Yos and spin tops. 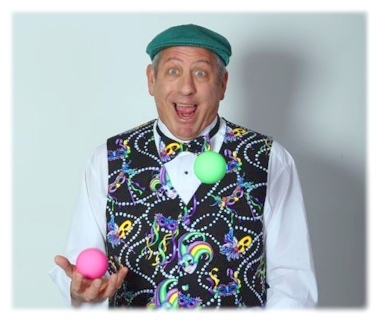 demonstrates his expertise with Juggling and Magic. 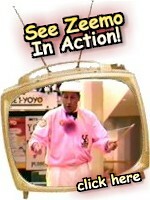 performs Science Shows for school assemblies. is a great pick for Cub Scout banquets, fairs, festivals, libraries and company parties.